Omar is the archetypal patriarch, and never more in his element than when hosting a traditional Mexican fiesta surrounded by his nearest and dearest and whoever else wants to tag along – everybody’s welcome. They say that his sizeable paunch doesn’t house an enormous stomach but his corazoncote – his giant heart. Like the family’s very own Father Christmas, Omar is the one that everyone loves to be around, whose presence brings sleighfuls of joy and laughter to any occasion. Omar’s Posada is one of the most highly anticipated events of the calendar – and has been for the last twenty years – because all of the guests know that they’re in for a real festive treat. 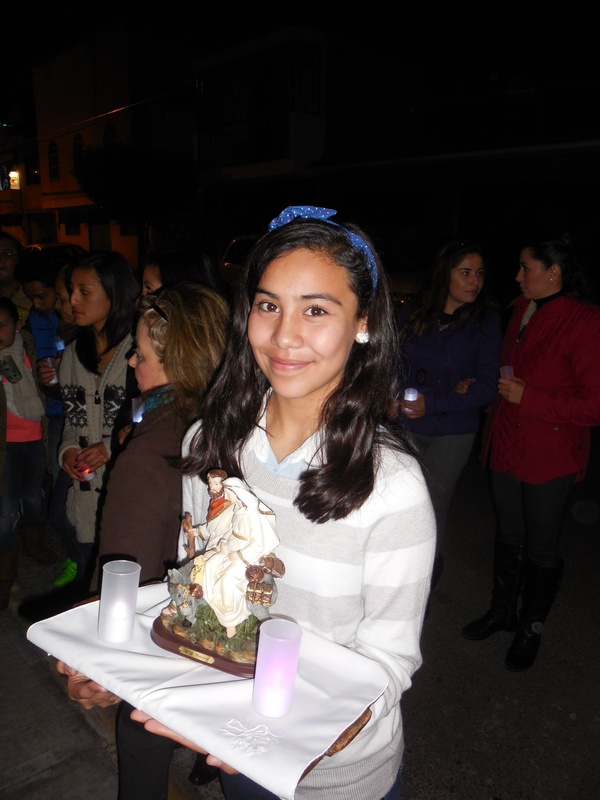 Posada means ‘inn,’ and the night’s activities are based on reenacting Mary and Joseph’s search for lodging in Bethlehem and the preparations for baby Jesus’ arrival; or as one friend calls it, Virgin Mary’s Baby Shower! The night begins with the singing of the traditional villancico (Christmas song), Pidiendo Posada. It involves guests pacing the street outside the house, playing Mary and Joseph asking for shelter. The hosts play the inn keeper and sing the response from the inside of the house, which ends with the guests being allowed to enter and being given a very warm welcome. Then a couple of short prayers, letanias, are read at the nativity scene, which is found in every house at this time of year. I have witnessed many modern, commercial elements in the Mexican Christmas, including Santa’s grotto in department stores and the Coca Cola parade through the city, but at its heart remains the strong Catholic faith in the celebration of the birth of Jesus, and a poignant reminder of the Christian teachings of love, peace, friendship and generosity. 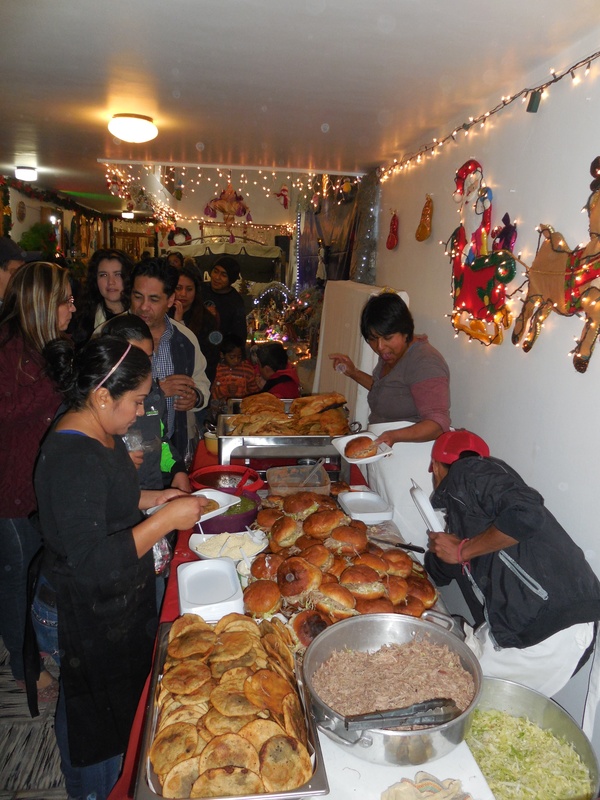 Of course food and drink play an important role in any party: nowhere more than in Mexico, and at no time more than Christmas. As a friend here once told me, “First we give thanks to God, then we party,” and that’s the general rule for any celebration in Mexico! So after the religious rituals, the food and drink is served. Ponche is the traditional beverage of the season, a sweet and delicious hot fruit punch made with tejocote, apple, guayaba, sugar cane and cinnamon, which are all soaked together in water to meld the flavours. On the food front there were the Poblano specialities pelona, molote, chalupas andjarochitas. Completely impossible to choose between them, the only option was to have a bit of everything, topped with lashings of salsa of course! Another essential element of the Posada is the destruction of the piñata. Its origins are in Catholic symbolism and all of the children know its meaning. The traditional piñata has seven spikes which are symbolic of the seven deadly sins, and it is filled with seasonal fruit and sweets which represent temptation. The beating of the piñata represents the struggle between good and evil, and when the piñata breaks and the treats rain down, they are viewed as the reward for keeping the faith. 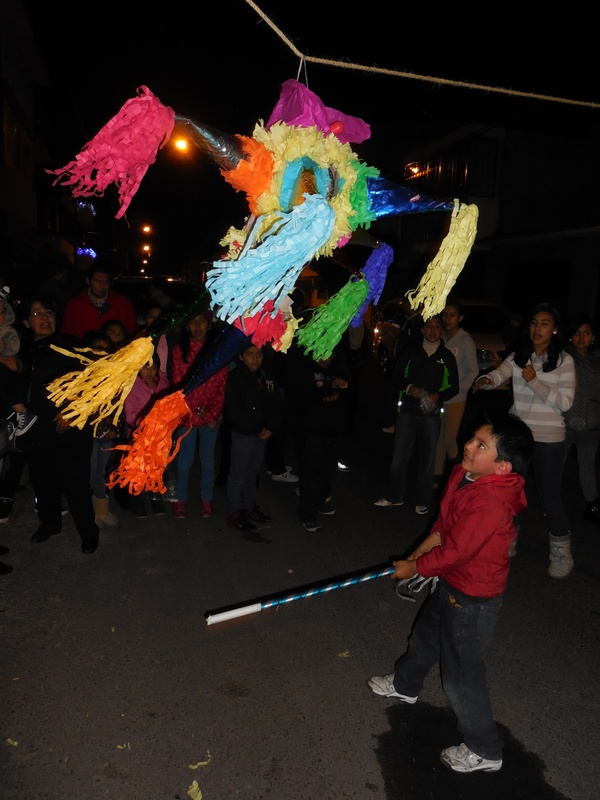 At the Posada, the piñata was strung up in the street between a window of the house and a lamp post, and the children starting from the youngest took turns to whack it with a stick. It got pretty ruthless, and when the clay casing finally broke mayhem and madness ensued with a wild dash to grab as much of the contents as possible. After an exhausting evening of laughter, games and chatter, the guests left not only with bloated bellies and bulging bags of sweets, but hearts bursting with love and goodness too. Catholic or atheist, in Mexico, the UK or anywhere else, the festive spirit undeniably crosses boundaries as people of the world unite in humanity and hope. Yes I’m a long way from home, but there’s nowhere I’d rather be. Christmas here might not be white, but it’s definitely merry, and with the Noche Buena (24th of December) and Los Reyes Magos (6th of January) still to come, there’s a lot more festive fun to be had here in Mexico. This Christmas will certainly be one to remember. 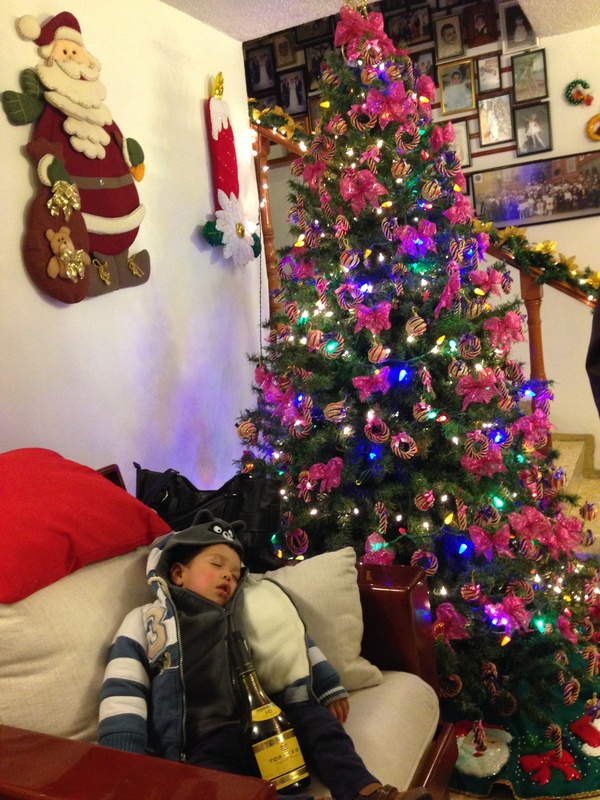 Here is a guest post I wrote for Mexico Retold on La Posada, the Christmas party, with my host family. 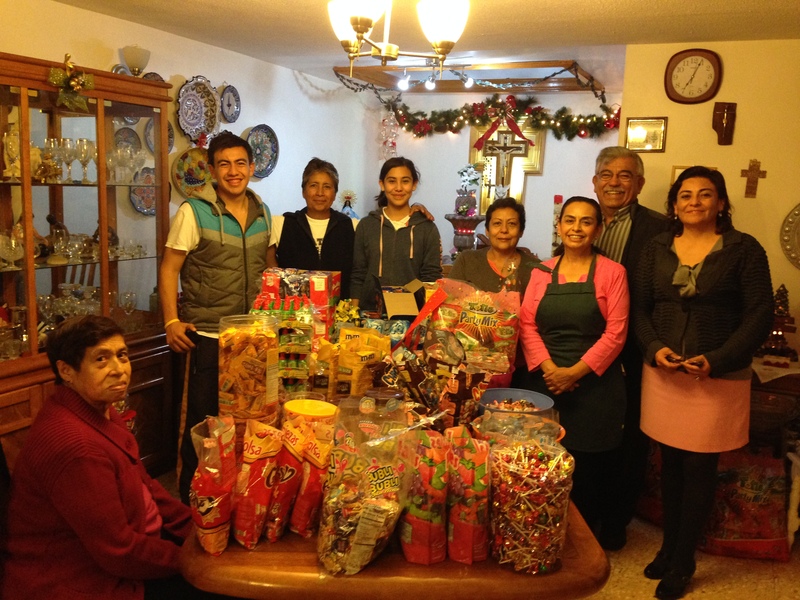 I grew up with posadas – and the love, the laughter, the bursting piñata and the goodies never pales. 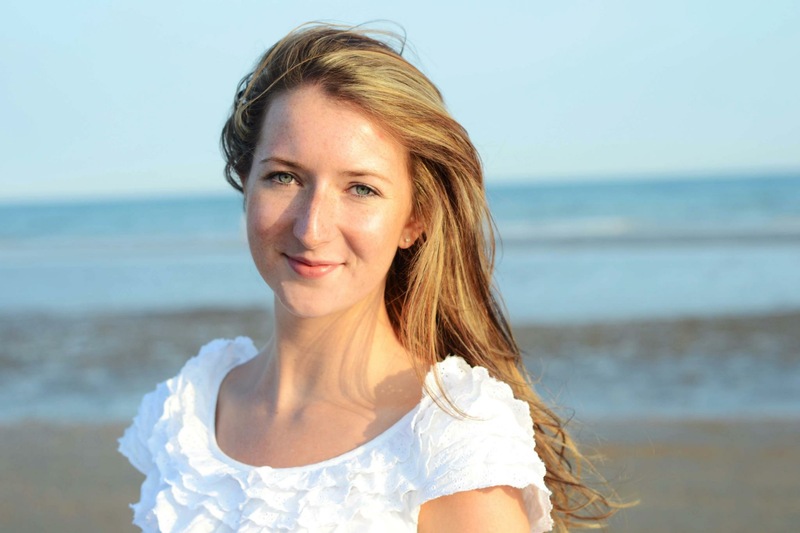 A beautiful post, Ellie — very Mexican and very Christmas. Glad to see that the partying continues. What lovely celebrations to be part of. Could we introduce some of these ideas in England? Please enjoy this blog post from Mexico Retold. 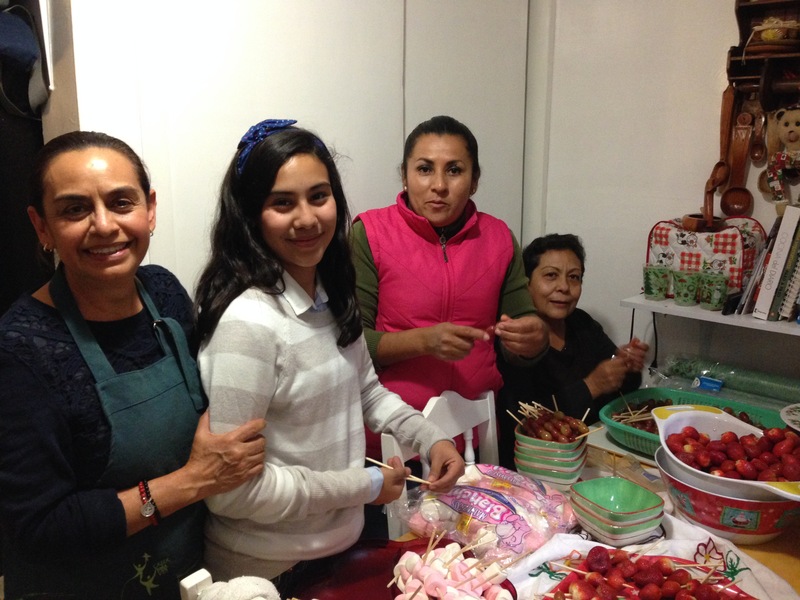 It features a guest blog about the Mexican tradition of La Posada from Tea and Tacos. !